Think about a beauty and aesthetic complex in Fulya with a magic stick that creates miracle in everthing it touches. Superplast aeshetic and Surgery Complex is waiting to be the magic stick that will touch to your dreams too. 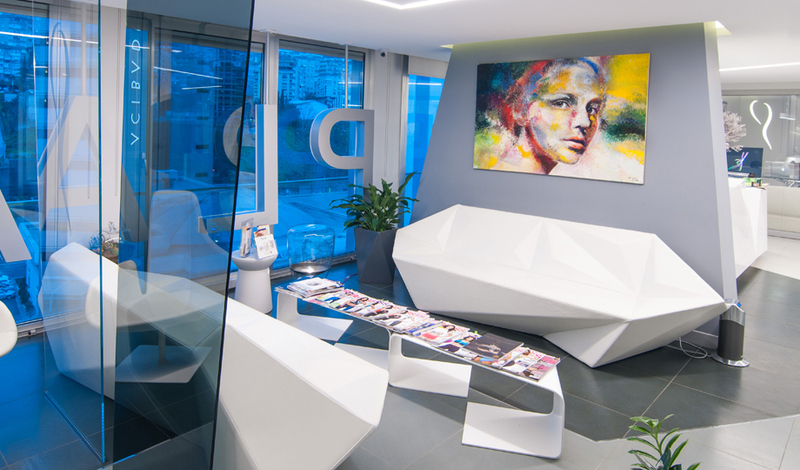 This aesthetic surgery center , in 800 m2 building, is giving service with its 11 qualified staff. The complex has 2 private rooms, 1 general and 2 local intotal 3 operating rooms. 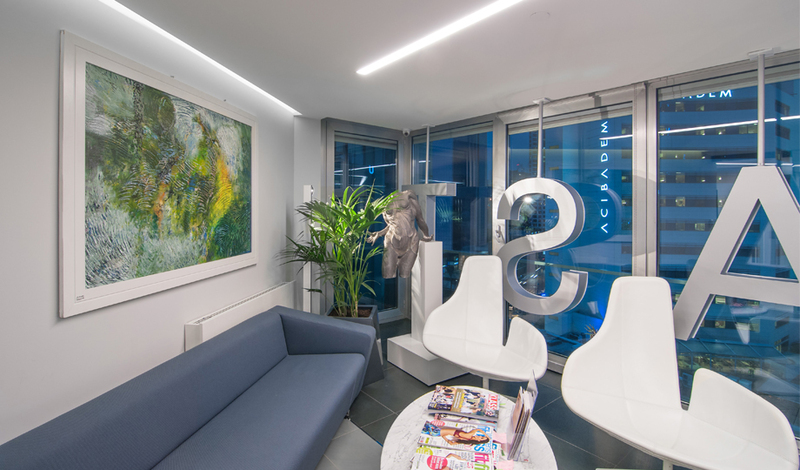 The complex is giving service in aesthetic surgery, micro surgery, hand surgery, high-tech laser, ultrasound, IPL, radiofrequency applicalions, hair health and implant with a unique Method! Now close your eyes and dream yourself from your head to your foot! The place has a legendary interior decoration… Exhibiting itself to whole World as if it is working with pleasure. The pleasure it gets from its perfect look also reflects to the patients and creates the sense of being a part of this petfection. 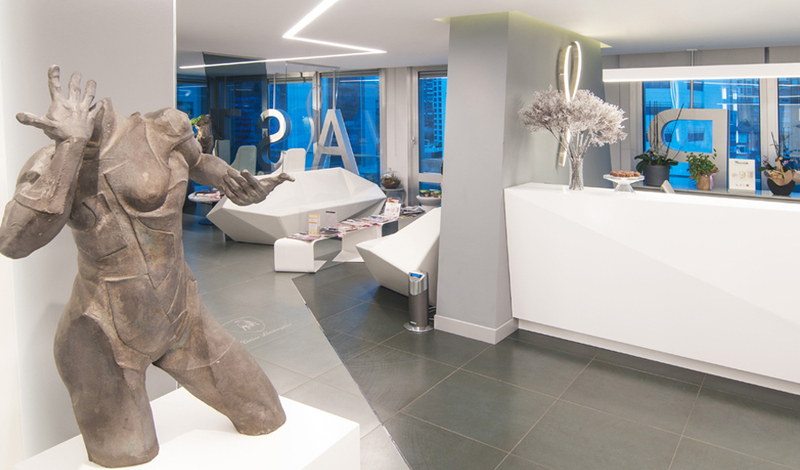 Statues prepared especially for this center by a famous sculptor, illumination/elegant lights, neatly prepared details with simple and modern design impress you about Professional usage of visual and aesthetic values. We can say that each and every day the interest of men for aesthetics is reaching to the level of women. Men especially prefer operations like slimlipo/laserlipolis which help them to eliminates the fats in underpart of chin, waist, belly and breast tissues, laser- assisted rejuvenation of nose and face, laser epilation, facial stretching and hair implant with unique technique. Whereas women are going to these centers for breast enlargement / reduction, fat elimination from every part of the body with slimlipo/laserlipolis including belly, waist,hips, underpart of chin, legs and ankle, stretchingand rejuvenation of nose and face. from root cell, ear aesthetics, breast enlargement/reduction and belly stretching can be performed without the need for general anesthesia, only by local anesthesia and sedation. By using laser in most of the operations the cliche of ‘No Lancet’ has been turned to real. ocur after operation , uncomfortable situations like puffiness or purple spots can be minimized with laser operations or even might not happen. By choosing convenient laser for the treatment only with sensitive lasers for the problem, tissues around the surgical part are not damaged. (for example ; lasers thar are programmed for fat burning are only sensitive to fat tissues and do not affect other tissues.) While various lasers used are performing the treatment fort he part of the body with the problem, by combining different lasers skin quality is increased. By combining these techniques patient comfort is increased and healing period is shortened.With The Surg. Dr. Coşkun Levent Taşçı and his well qualified staff , all problems are solved and patients can discharged even the same day of operation . Over 20 years of experience in Cosmetic and Plastic Surgery , Surg. Dr. Coşkun Levent Taşçı has done about 10 thousand cosmetic surgery operations in his specialty career. Cosmetic and Plastic Surgeon Dr. Coşkun Levent Taşçı has integrated the succesfull results obtained from old surgical operations and his experience in these operations with the new technology. Surgeon Dr. Coşkun Levent Taşçı transformed aethetic surgical operations into comfortable applications with perfect results in much shorter time for his patients. This is one of the most important reasons why people from Türkiye and out of Türkiye are suring into superplast and Surgeon Dr Coşkun Levent Taşcı . One of the other reasons is, the patients are not missinformed about the use of laser like the other centers. First of all, laser is an empowered light in single wavelenght. Since beam in every wavelength creates different effect;this light in single wavelenght can be used only in treatment of one single problem. For example; laser used for laser epilation in a laser device will be unsuccessfull if facial rejuvenation or cellulite /capillary vein / varix treatment is made. However with different excuses you might be convinced that treatment is not convenient for you and you might be deceived. Superplast has various different lasers for different treatments. Some of these high tech devices are : Palomar Starlux 500 series Lux 1540 fractional erbium laser, Lux 2940 fractional erbuim laser, Max G, Lux Deep Ir, Lux G, Lux R, Lux 1064, Co2 laser, Alexandrite Cynosure Apogee, Ulthera Series, and devices with FDA certified laser platforms unique for hair and highest standarts in laser technology. Superplast provides highest patients satisfaction with these devices. Superplast , is a center that the world’s most developed laser Technologies are used. There is a reason why I used the phrase ‘ the worlds: Professional Plastic and Reconstructive Surgeons of Superplast Surg. Dr. Coşkun Levent Taşçı and his well qualified team are carefully following latest technology and after various long researches they are buying most deveped devices. FDA certified , and exists 150 places in USA and only in Superplast in Türkiye. Thanks to this device without damaging surrounding tissues only fat tissues are targeted, and in one seance excess fats are eliminated. After an hour operation that will be performed under local anesthesia you can go back to your work or enjoy your coffee in Nişantaşı. 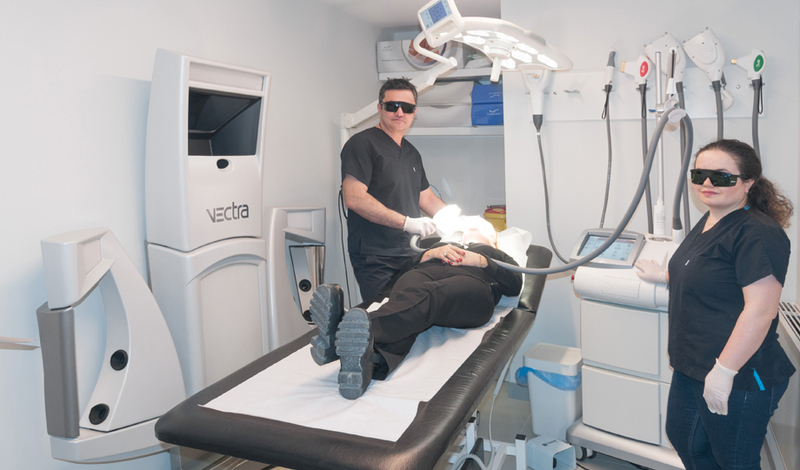 With 3D Vectra Series that is imported after a long evaluation process, your three dimensional photo is taken before the surgery. Thus you can specify the surgery result you dream before the operation for your belly , breast, neck, cleavage and face sections and never have a surprise. This and other devices mentioned above , are devices that Superplast invested to itself , namely to you. The value given to its patients , is one of the most important reason that is attracting everone interested in aesthetic and plastic surgery, including famous persons from Türkiye and out of Türkiye to Süperplast. All is in your sercive to help you reach your dreams in a more comfortable way and shorter time… Painter, academician , fashion designer , houswifes, banker, businessman/businesswoman, advertiser, manager, doctor, engineer , journalist whatever your jop is we become ordinary in life and start to look like the others . However, fisrt of all , do we look like ourselves?